Rick Astley – Live Review. Hull Bonus Arena, October 2018. The excitement of going to a Rick Astley gig is clear to see. With lots of smiles on the faces of everyone heading towards the new Bonus Arena in Hull, if ever you could picture a good Friday feeling in the air, this is what it would look like. The legendary pop-star who shot to fame in 1987 has been back on the live circuit for a few years now. And with a back-catalogue of well known tunes, and a couple more recent albums in his locker, his fan base is still huge and loyal as ever. In a packed venue, Astley kicked off with ‘Try’ from new album Beautiful Life. As he did, the arena and the band burst in to life. The lights startled you, and the concert wasted no time in getting the adrenaline up. ‘This Old House’ from his previous album 50 followed. But was 80’s pop sensation Rick Astley taking a risk by starting a gig with two of his newer tracks? The answer is a big, fat no. The night’s set was to carry on with a good amount of newer stuff, with the hits from the 80s sprinkled in. Unlike some, his newer material isn’t just a poor attempt to make himself still relevant. 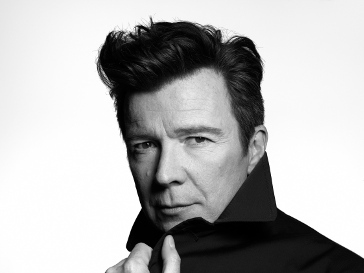 The musical, lyrical and vocal quality of Rick Astley shines through in every tune he does. It wasn’t long before ‘Together Forever’, and the arena turned in to a sing-a-long party zone. Perhaps sounding even better 30 years after its release in a live set-up. The song was written by Stock, Aitken and Waterman, the undeniably successful trio who shaped the hitmaking sound of the late 80s – some 30 years on the song sounds remarkably fresh. And in this place? Well… they’ve got a great venue here in Hull. The Bonus Arena is quite the standout structure as you approach it, and inside it’s easy to navigate with a simple layout. When you head out to the stage, its constructed so wherever you are, you’re close to the action. It seems that the days of new concert venues being designed in a rectangular shape with a stage at the far end are (thankfully) long gone. And the gig was going well. Where I expected his 80s tunes to be his highlights, songs such as ‘She Makes Me’ and ‘Last Night On Earth’ held their own against ‘She Wants To Dance With Me’ and ‘Whenever You Need Somebody’. 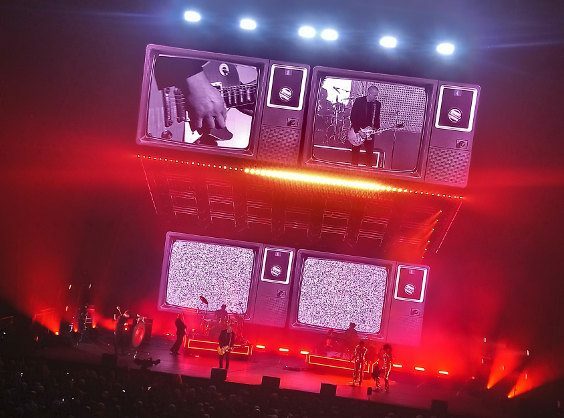 One of the standout tunes for me on the night was ‘Beautiful Life’ which had the video accompanying it all over the background. The backdrop was an impressive part of the set up. There’s a very special shout out that needs to go to Rick Astley’s sound and AV team. Someone came up with a superbly designed stage of high quality video and imagery, and amazing lighting. The eye-catching effects complemented a brilliant acoustic that boomed around the room. It tied Astley’s show together perfectly, and added something to the feel in the place. With the spirits so high, a couple of covers were thrown in to the set for good measure, including ‘Shotgun’ by George Ezra. It’s a song I have never personally liked, but Mr Astley’s version certainly was an improvement on the original. Rick’s a showman, and can work the crowd between songs. Humorous, his personality adds to the show and it helps that he’s played for a good few years with the same band and back-up singers. Great musicians and vocalists, you could see the on-stage chemistry between them all. They seemed to be enjoying it as much as we were. In an arena that apparently holds 3,500, there seemed to be a lot more people there. And with the whole arena in full swing, Astley brought the curtain down on his main set with ‘Shiver’. But we weren’t going to let him go just yet. A certain song was missing, and we demanded he and his band return to the stage. He duly obliged, and a three song encore began with ‘Rise Up’ and ‘Dance’. And it ended with his debut single from 1987, ‘Never Gonna Give You Up’. Predictably, everyone in the entire arena was singing along and dancing to that. It’s brilliant live, and it re-enforced what a well written song it is. And just how good Rick Astley is as a performer. As far as Friday nights in Hull go, they don’t get any better than this. Rick Astley is on a huge tour, and he isn’t just here on the retro-comeback circuit. He’s still a brilliant performer, with brilliant songs and you come away from his show wanting to do it all over again. 2 Comments on "Rick Astley – Live Review – Hull Bonus Arena"